Project began in March 2001 with the publication of The Bells of the Cherokee Ponies by poet and small press publisher d.a. levy. He was a large and influentual part of what became known as The Mimeograph Revolution, a bunch of outsiders publishing on their own terms, by any means available. It seemed fitting that he be one of the first poets published in a series with a similar desire to his — stuff words (poetry) into the cracks and crevices of a barren cultural landscape. These little books, PFAs, are scattered like seeds. That is, they’re given away, left around, thrown about the place for people to find. Free. Always free. PFAs are novel or novelty. It’s up to you to decide. I’m proud of every poem I’ve stapled between a little cover. They come from all over the world, from established poets to people who are writing one for the first time. Every poem added to the Series gets a number. From levy, No. 1, more than 1,000 poems have been published as part of the project. Love poems. Beat poems. Bukowski wanna-be poems. Prose poems. Haiku. Concrete. Nature poems. Manifestos (little ones). Songs. Even art. Graphic novels. Short stories. It has always been a pleasant surprise to discover just what can fit under such tiny covers. Based in Sacramento, California, Poems-For-All is presently operating from Edinburgh, the beautiful capitol of Scotland. I’m here taking care of my mother, who has cancer. 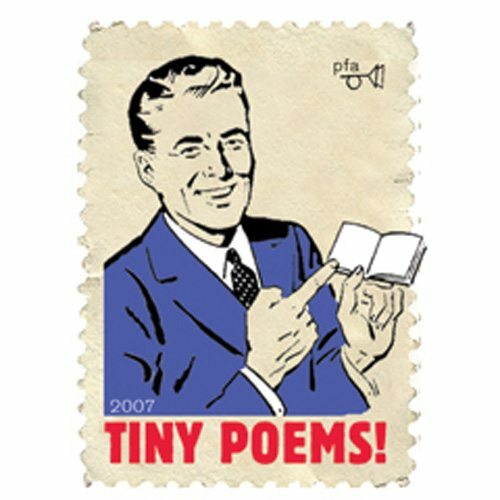 While poem submissions are still be accepted, you should know that there is a long wait for the eventual publication of your little books. I won’t have the ability to design and print books until I return to Sacramento. I don’t know when that will be. But know this: if I accept your poem(s) for publication, they will be published. Eventually. Meanwhile, it’s August in Edinburgh. That means a cultural environment in full bloom; The Fringe, the International Book Festival. It’s an opportunity to broaden my horizons and scatter some little books of poetry. It is also an opportunity for me to make connections with the literary community here. Thanks to relationships with organizations like the St. Andrews International Poetry Festival (StAnza) PFA already has a presence in Scotland. I’d like to see it expand. This entry was posted in Richard Hansen and tagged Poems for all, Poetry, Richard Hansen by Monsieur K.. Bookmark the permalink. Richard is one of those guys that the poetry scene owes a tremendous amount to. 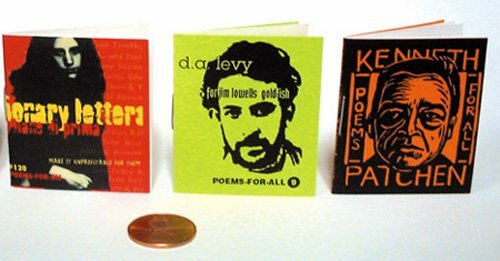 Not only does he publish this great little series, but he is extremely supportive of the poetry of the small press both in his book store as well as in his daily activities. It’s guys like him that make it possible for guys like me to continue to function!! !